Happy Easter! Been doing these backpocket posts for a year now…time flies. Glasgow: A city divided along learning lines – Heartbreaking that so many don’t get opportunities and it’s down to money, not talent. Make your own Amazon Echo – Thanks Amazon! As We Become Cameras – there is still such a fuss around surveillance and being constantly watched…will we end up stumbling into a world where nothing is recorded? The West Wing is one of my favourite TV series. First broadcast in 1999 it was smart, funny, heart warming, fast, deep and different to everything else around at the time. It appealed to the politics geek in me and showed a US president that was totally different to Bush who was in power during much of the programs run. Despite my love I’ve never watched the whole run again…until now. 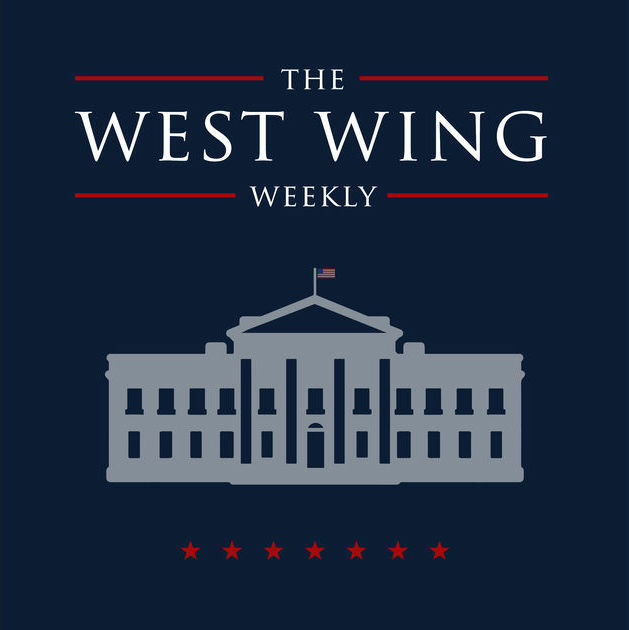 The West Wing Weekly is a podcast from NPR that will break down each episode starting at episode one. The first episode of the podcast launched today and is hosted by Joshua Malina and Hrishikesh Airway. Malina played Will Bailey on the last four series of The West Wing so should be able to offer great insight into those episodes. So each week I’m going to watch one episode of The West Wing and then catch up on the podcast. I can’t wait! The podcast can be easily found and subscribed too in Overcast by searching for West Wing Weekly or even in iTunes via this link. Anyone else jumping in? Dunblane: Our Story – 20 years since the tragedy in Dunblane and this program is an emotional watch. Always sticks in my head that I was euphoric coming back from a sea trial at work on the day this happened. Sailed down a misty Clyde and went into the office at night and we were all so happy and then the wind was taken right out our sails when a colleague shared the news. No mobiles, no news, no idea…a bombshell. Surprise! NSA data will soon routinely be used for domestic policing that has nothing to do with terrorism – Why resisting the UK snoopers charter is so important. Lack of sleep alters brain chemicals to bring on cannabis-style ‘munchies’ – Might explain the hunger I’ve been feeling the last couple of weeks as my mystery illness flares up again. Why Am I Right-Handed? – I’m left handed but write with my right hand thanks to my Gran tying my left hand behind my back when I was wee. Lefties were the work of the devil seemingly. An Apple Pencil-drawn review of the Apple Pencil – So good. Still want an iPad and Pencil. The Making Of Playstation VR – Not long now. 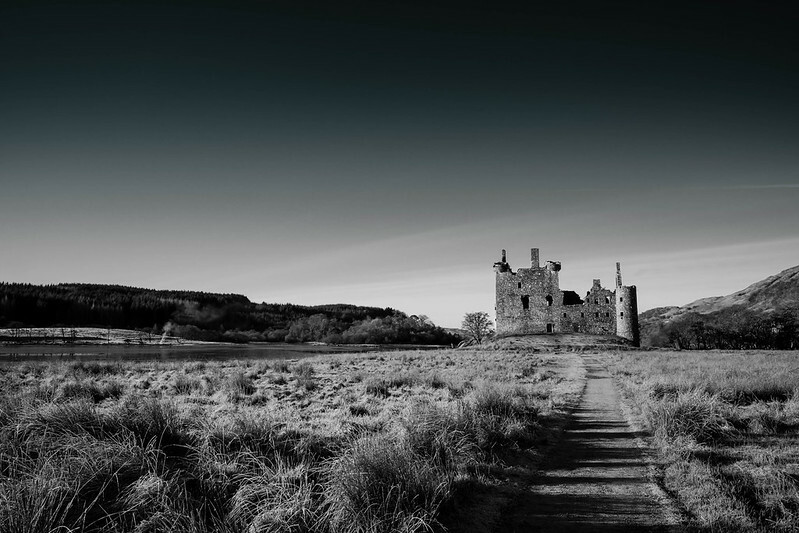 A couple of weeks ago I set off early to visit Kilchurn Castle. The plan was to get some good photo’s as the sun rose and as it was a clear night it should be worth setting the alarm for. The drive up was fine but due to the freezing temperatures and the quiet roads there was a few slippy moments on the way. By the time I parked up it was minus 7. Brrrrr. The scenery and location was amazing and I setup the camera waiting for the sun to rise properly. There were only a couple of others around on the other bank of the loch and it was eerily quiet. Well it was eerily quiet until i fired up the drone. I’d read that the drone didn’t like the cold and that turned out to be true. Battery life took a bit of a hit and I also got warnings about the temperature and also one of the motors. I carried on though and it was fine and I got some not bad shots. However my lack of touch friendly gloves meant I flew without wearing any and my hands were frozen. Even the next day my fingertips were still numb. Idiot. I also missed out on many shots that I had wanted to take, partly cause I rushed and partly due to the batteries dropping quicker than usual. Next time I head out I’ll do a bit more planning upfront. It wasn’t just the drone…I missed a few great images with my camera that when I looked back through the photo’s I’d taken were obvious. Experience I guess but I was ticked off at making the effort to get there and miss some pic’s. If you are looking for a fantastic old castle to visit that was built in the 1400’s then give Kilchurn a go. 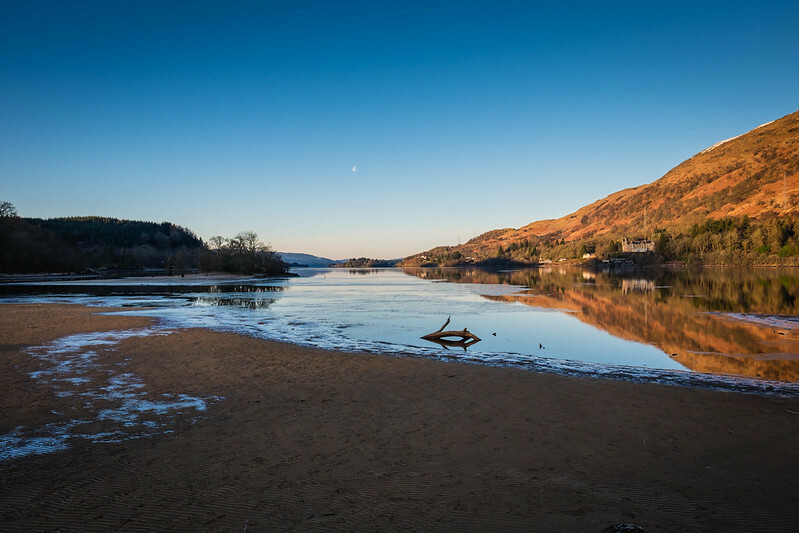 I plan to visit again sometime in the future and maybe try and get those shots I missed a fortnight ago but I’ve a lot of other places to visit before I return to Kilchurn. Onwards.